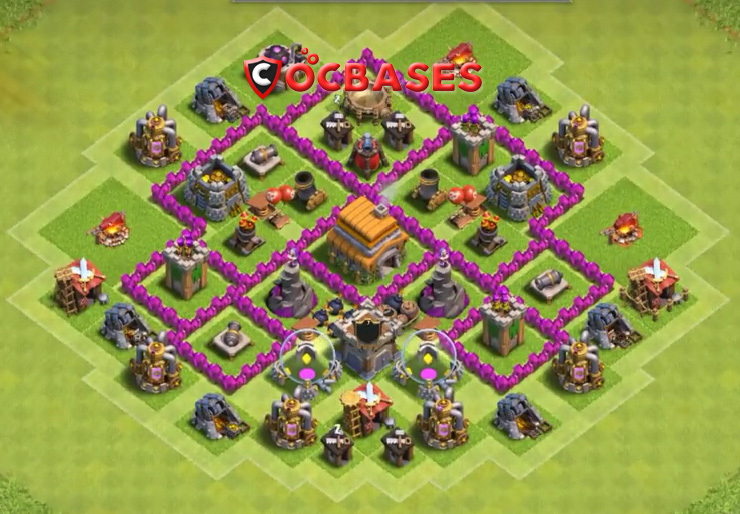 These types of bases are designed to attract the opponent to raid, as the lower side of the base looks very easy to beat but it is not like that. In most of the attacks, the opponent will attack from lower end because elixir is placed without any wall, but they will be caught in traps which are placed near the open walls. In this way, our resources will be safe in most of the situation. 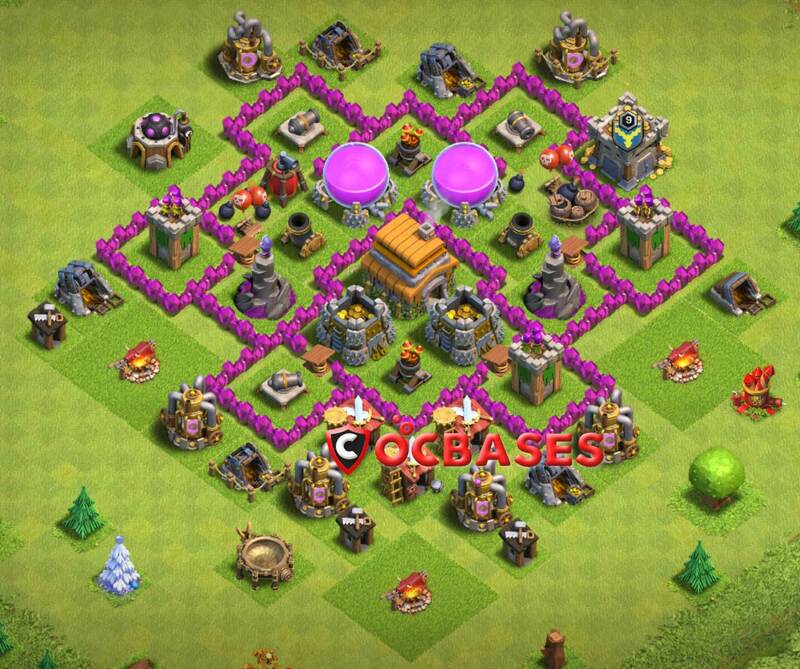 best clan castle troops : Wizards + Archer, Dragon. 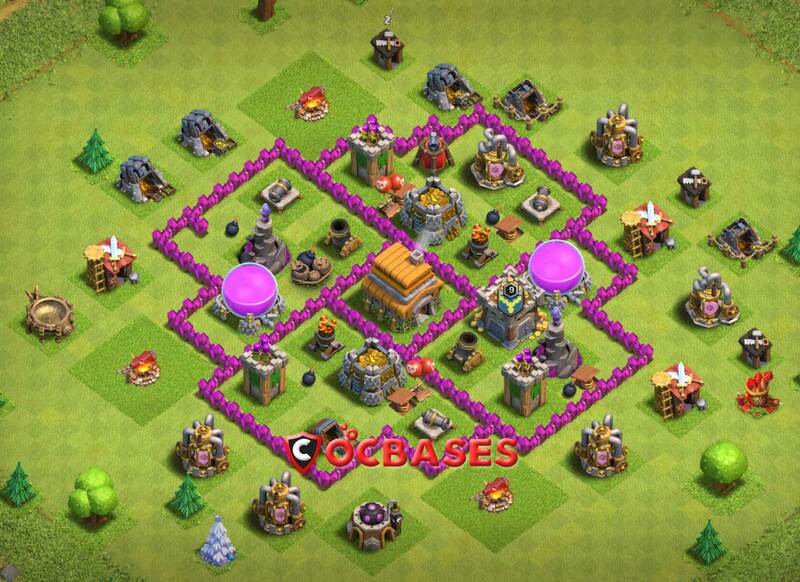 These types of hybrid bases are designed to trap the opponents troops in a circular path so that the opponent’s troops will vanish easily. Our resources are quite safe in these types of bases as our defenses are placed in different compartments. So, the defenses will fight with the opponent troops easily as their troops are following a circular path. 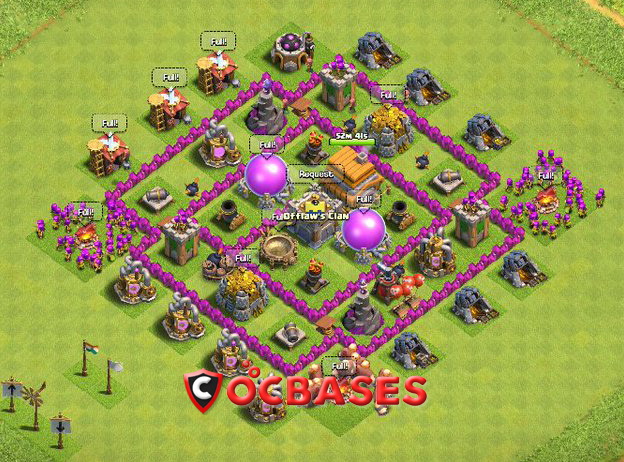 cc troops: dragon or balloons. 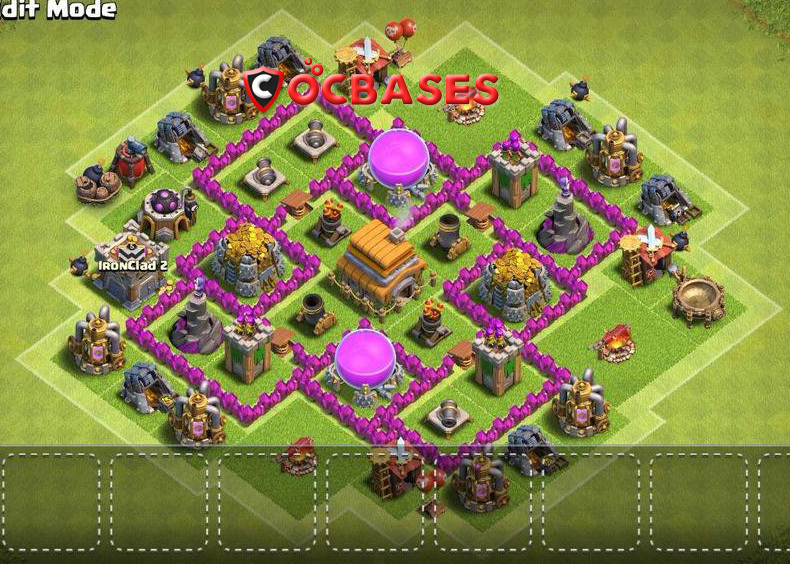 Here you can see another clever base, which is designed to save the resources. In this base, the path to be followed by the troops is mapped by the base designer because troops will follow the path where there are no walls. So, there are only two ways for opponent’s troops to enter inside the base and in these areas are full of traps. So, our resources will be safe as they are at a distance from each other. cc troops: wizards, dragons or loons. These types of bases look very simple as they have only 4 compartments with town hall in the middle, but these types of bases are not very compact as compared to the other base due to this troops have to travel more to reach the defenses or other buildings. So, this type of design is very difficult to 3-star. In this way, in most of the cases our resources will be safe. CC Troops: Dragons or Loon. 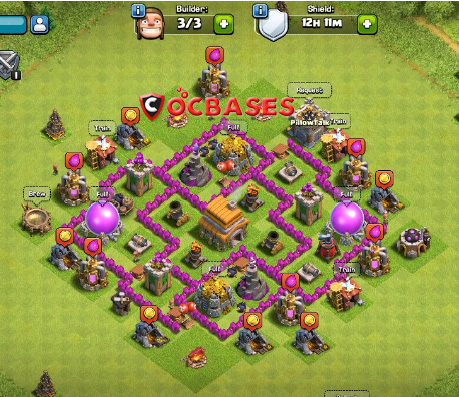 This base is unique in all aspects, as the troops enters the base they can’t enter the center because of open walls. Due to this, troops will start moving and attacking in circular path, so our resources will be safe. 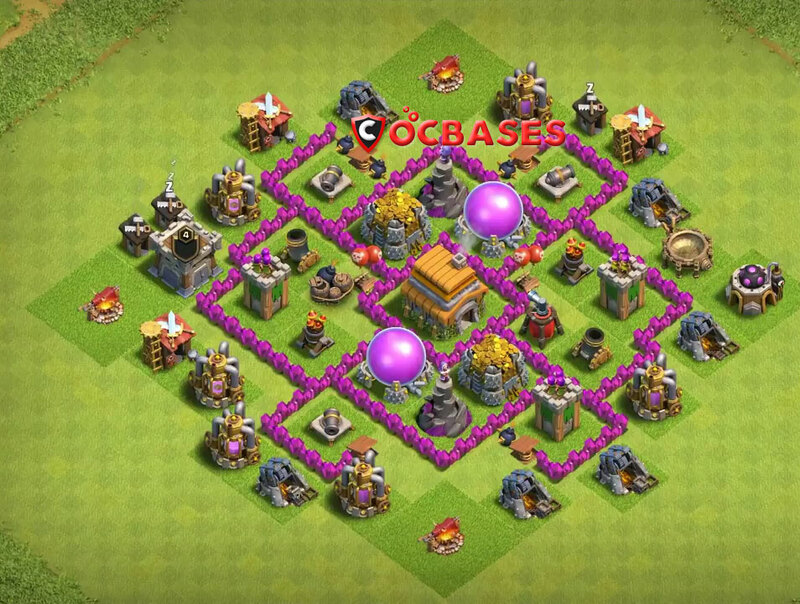 These types of bases are also suitable for farming. This is another good base as these bases are playing with the opponent’s mind. If opponent goes for upper portion their troops will be stuck in that region because of open walls and spring traps and if they go for lower part of the base their defense targeting troops will go for the upper portion of base after attacking the Cannon or the Archer Tower. So, our resources will be safe. cc troops: balloons or wizard + archers..